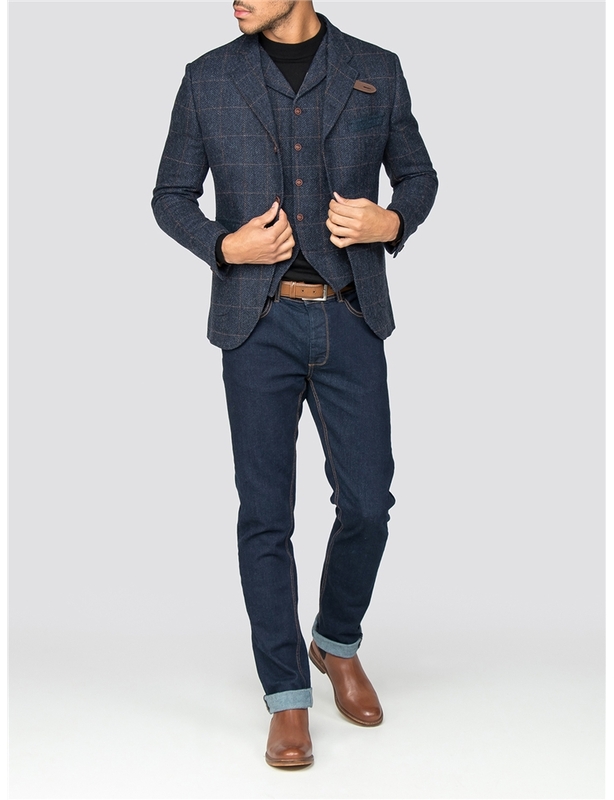 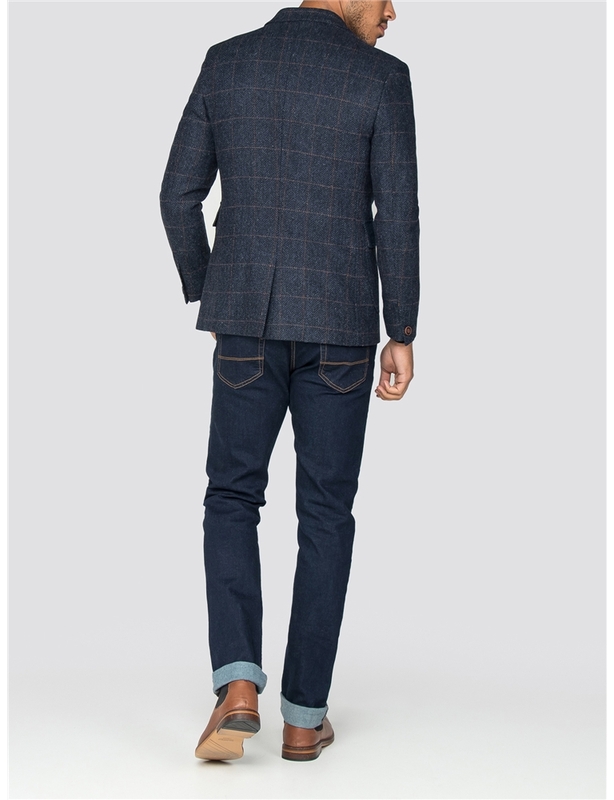 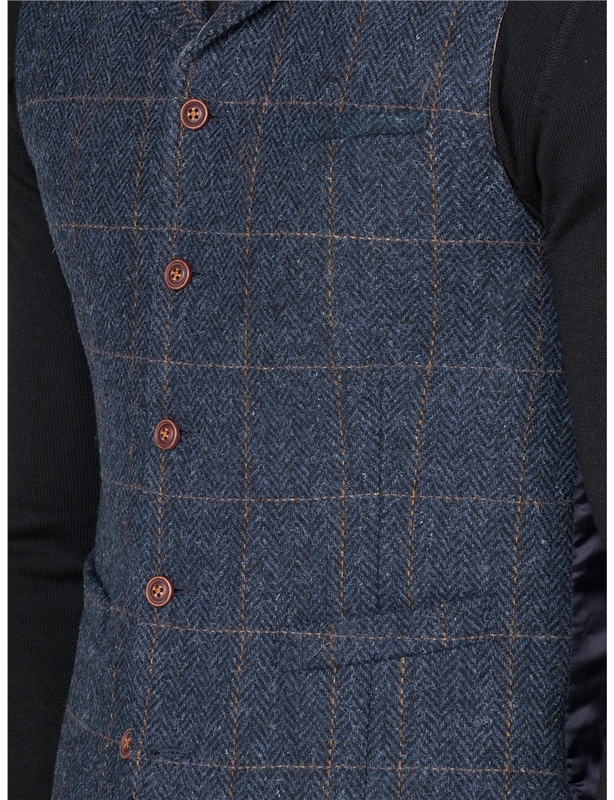 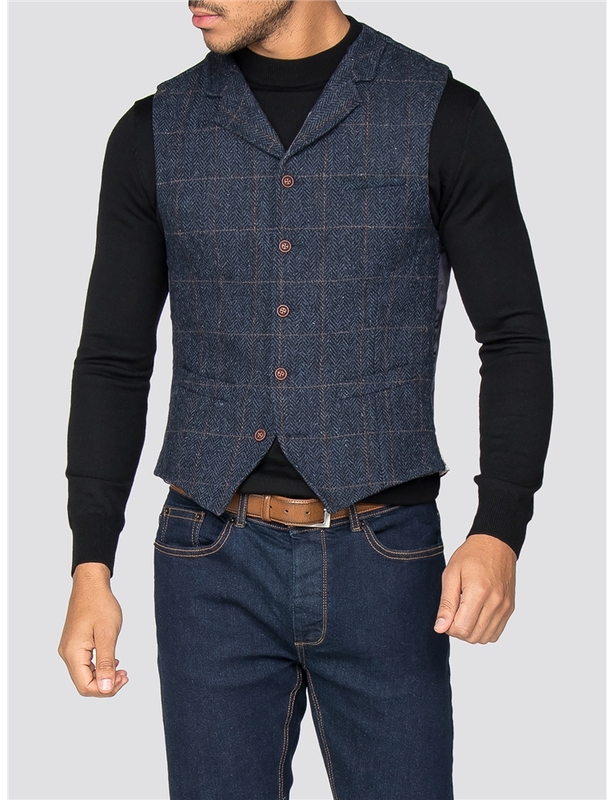 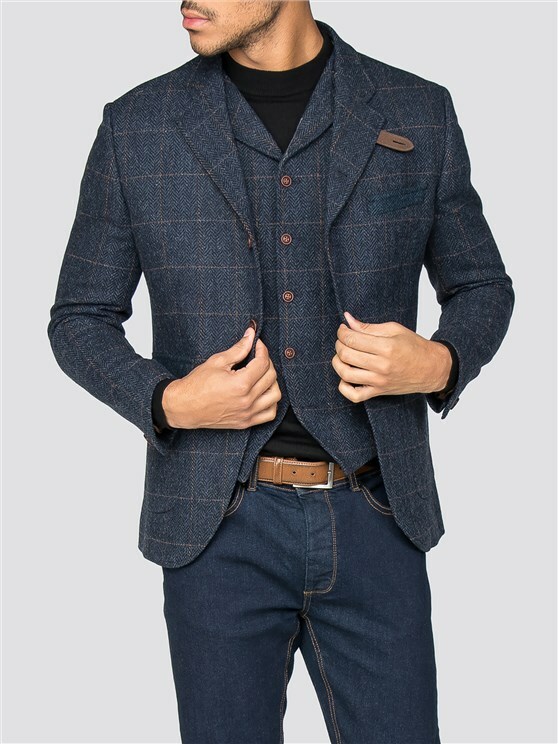 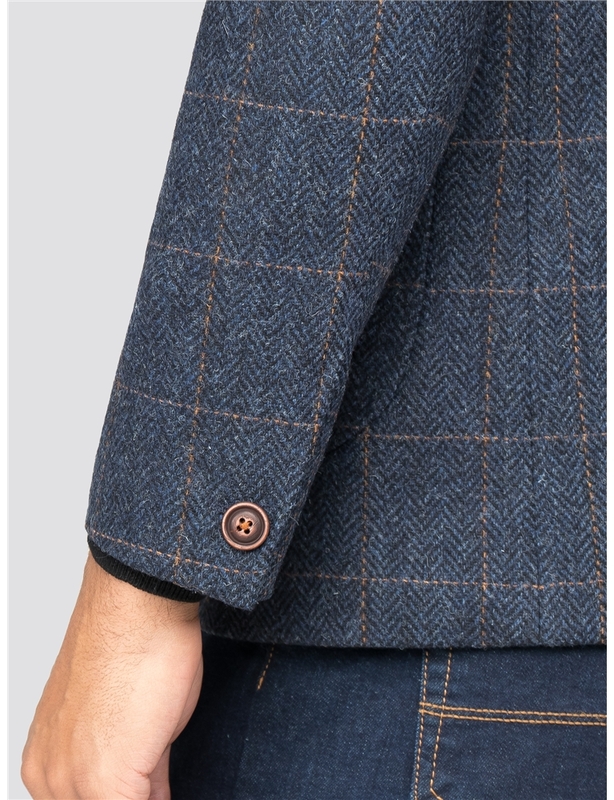 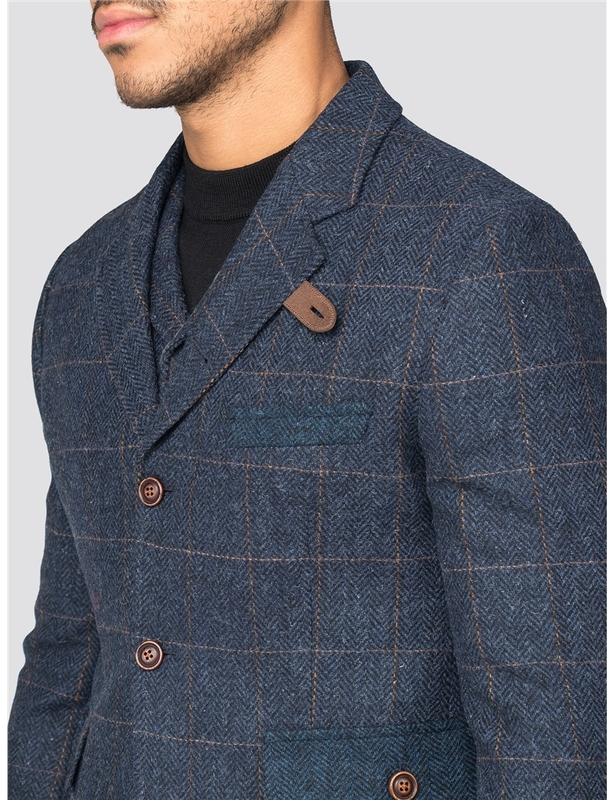 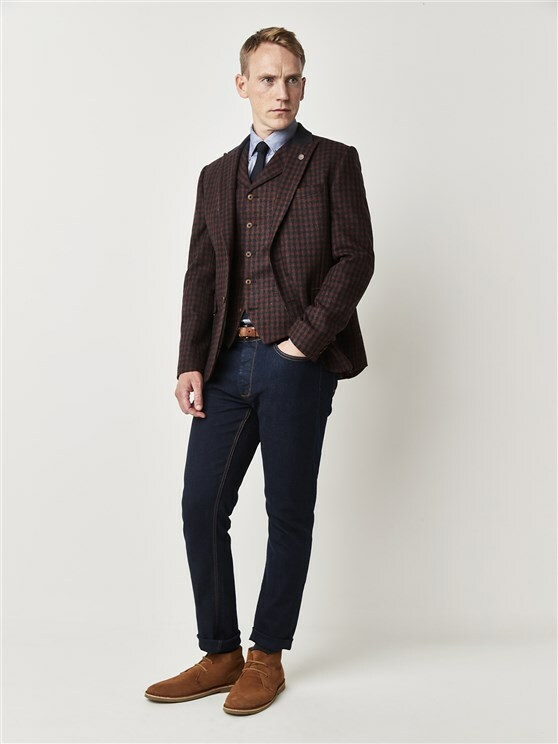 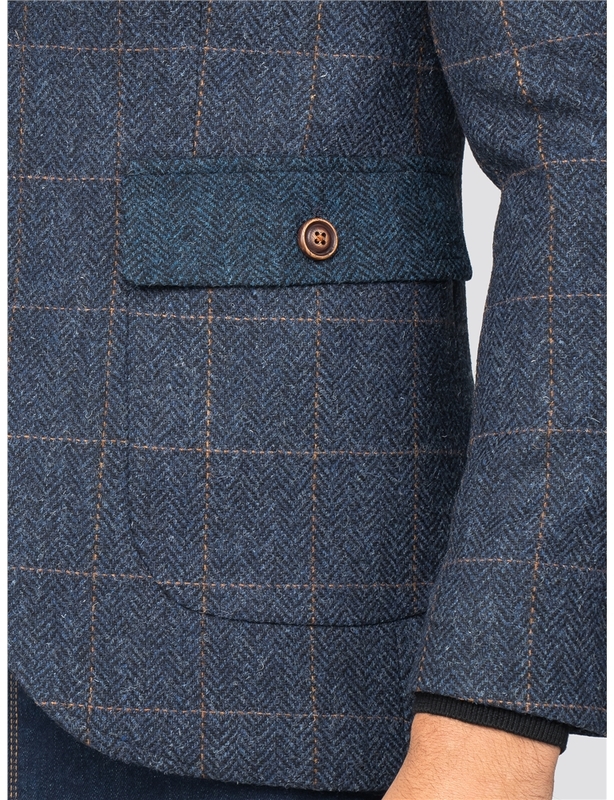 With a grand, slate blue check, this men's tweed jacket creates an instant statement for him - whether worn every day or for special occasions, this suit carves a true feeling for the Best of British with a natural profile. 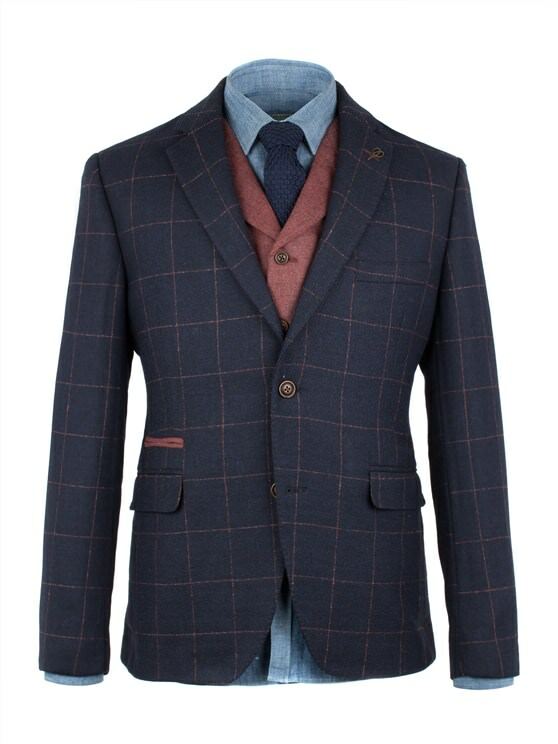 In a soft blue, with peach check pattern and contrasting details in chocolate brown, this comfortable men's blue blazer boasts swelled edge stitching, a contrast collar and generous patch pockets, alongside an eyecatching leather tab notch detail - creating a practical, stylish and utterly original checked jacket with true character for the discerning gentleman. 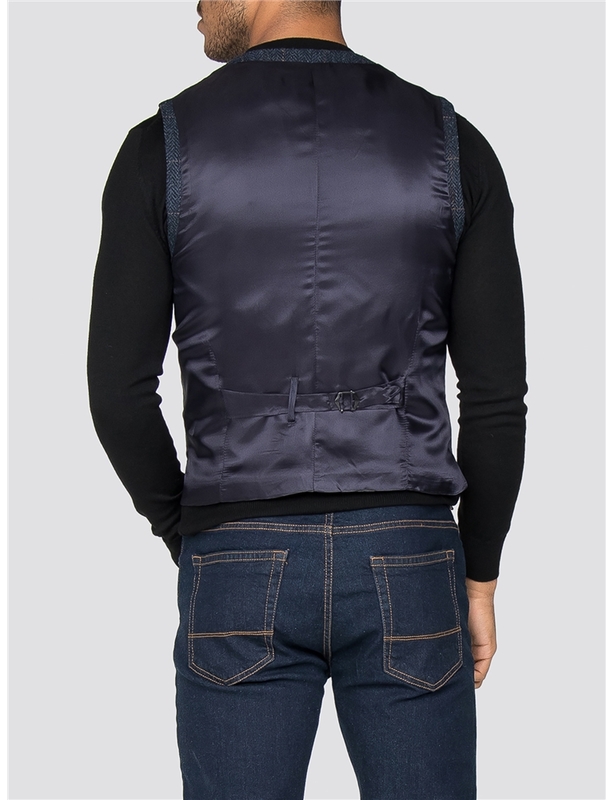 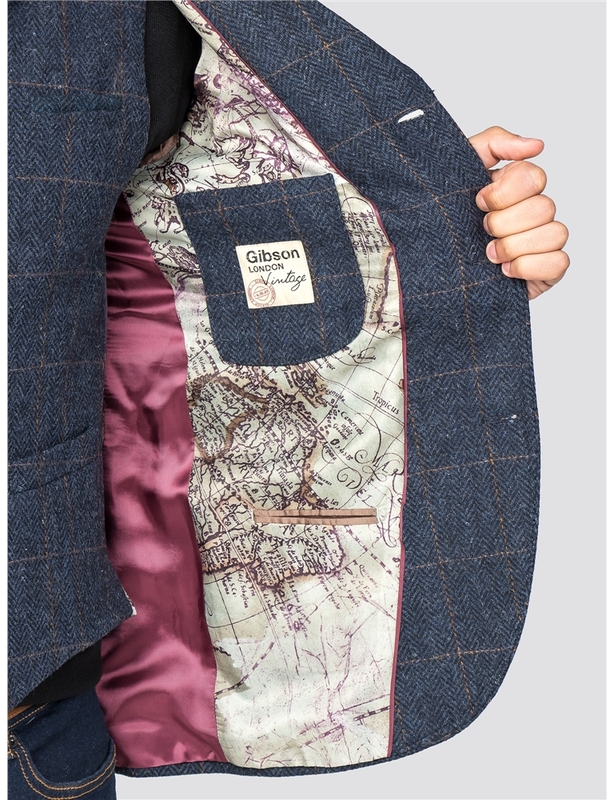 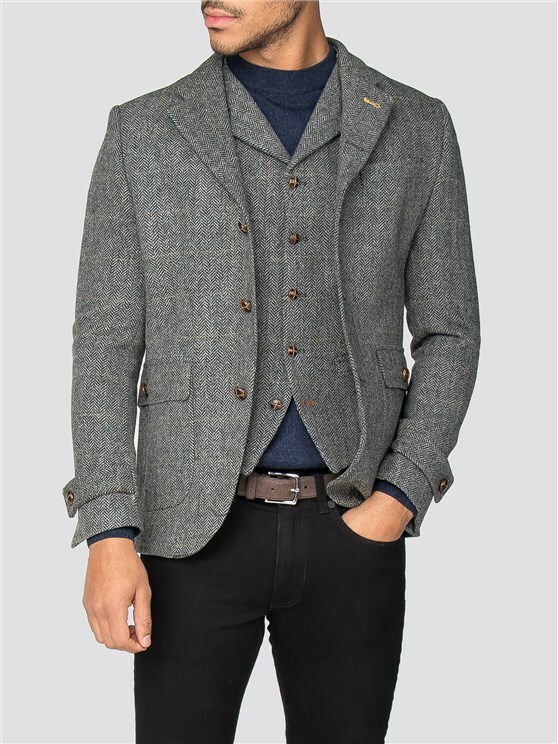 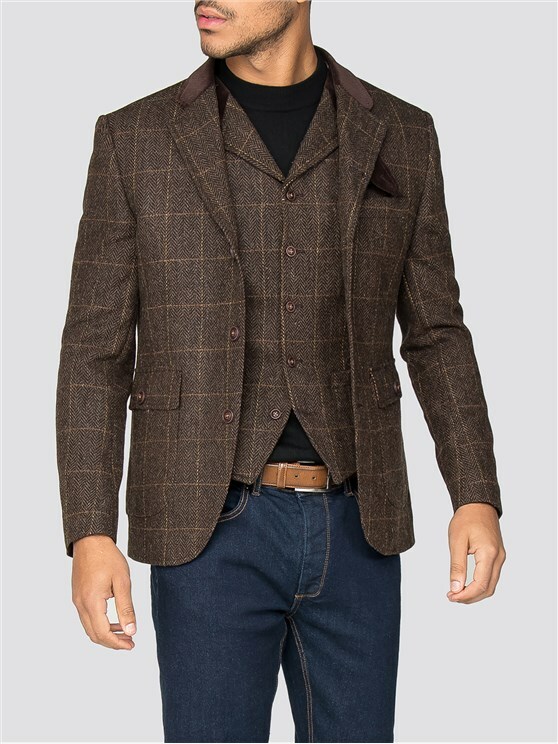 A more contemporary fit, with a short body, the Maryleborne's Grouse style Blazer has wider shoulders at the back for extra comfort with a generous waist and tapered sleeves.